SEO is associated with content and keywords that can ensure better traffic for websites. We all know ‘Content is King’ but what all of us might not know is that website designing also plays a major role in SEO work. Hence, if you do not get your website designed by a person who knows about the role website designing can play in SEO; you might miss out on traffic. Certain tips should be followed whilst designing a website so that it can gain better traffic. There should be an appropriate optimization plan for the website. Innovative ideas to design are good but these can at times hinder the traffic rankings of the websites. Thus, it is always advisable that the website development team works along with the SEO or content teams. As we all know about SEO and Web Design, Search Engine Optimization isn’t limited to just determining on-page OR off-page elements. It has a broader concept when we think about a website at large. It’s practically more than just simple code and textual + graphical content. One of the major focuses of a website designer should be on user friendliness. It is important that the website developed is easy for the browsers to navigate and the links provided in the content take the browsers to relevant pages. The menu for your website should be user friendly as well so that the browsers can easily find the pages they are looking for. Such sites encourage the visitors to stay on a website for a longer period and this, in turn, helps in your SEO. Use of anchor text links is also useful in optimizing websites. These must point to relevant destination pages. 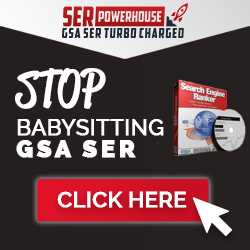 If there are several links navigating to the same page, then the designer must see to it that the first link is anchor text link instead of an image link. Such a move will help in optimizing your pages. In addition to this adding a site map also helps. Inclusion of site map means the entire website menu is available on one click. This helps the browsers to easily navigate to the webpage they want. And for SEO purpose, too, the site maps are required. Thus, design is really essential to encourage SEO work. It largely depends on a good website designer on how he can apply a particular design to boost SEO. Thus, it is important for the web designers to know how SEO actually works. Even a crash course will also do. In an age when social media and SEO are ruling the internet world, it is imperative that the web designers are able to work in sync with the SEO team. Whether you are reworking on your existing website or launching a new one, make sure that your website design and SEO are in tune. 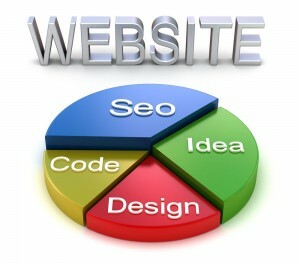 At the planning stage the first step towards a successful website building is to understand its aim. What is the primary purpose of your website on which you are working? Once you know this, designing it and keeping pace with the SEO work become easier. Then you deal with the navigation structure and page layouts. Placing images and texts on each page is also vital. This depends entirely on the designer on how he does it. Besides, the visual impact the links appearing n the pages should be relevant as well. Google has certain rules regarding back-links. It is important, thus, to be aware of the Google algorithms and the new changes they introduce to their SEO rules. Team work always pays and that is how it has to work out here too. While the SEO and marketing teams brainstorm over content optimization, the web designers are responsible for optimizing the entire website. It might be time consuming when you are designing a website for SEO purposes. Often, it has to go through several phases of testing before the correct design can be finalized. Thus, experienced designers, SEO experts and a keen eye for usability help in finding the right web design that would be helpful for SEO.